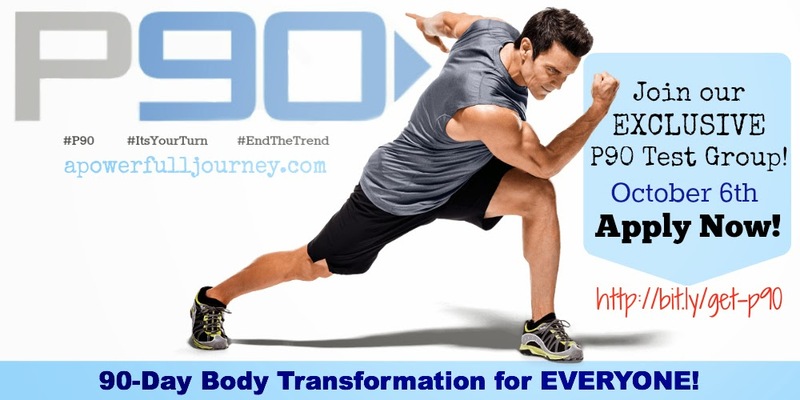 a power full journey: Hurry and join the Dream Team's EXCLUSIVE P90 Test Group!! Hurry and join the Dream Team's EXCLUSIVE P90 Test Group!! Fresh and hot off the press -- these copies of Tony Horton's brand spanking new workouts are now available *exclusively* though a Team Beachbody Coach for the first two weeks before the general public can order it! If you are ready to get some serious results - no matter what your fitness level or age - this is the perfect stepping stone for you! You could be one of the FIRST to get fabulous results with this 90 day program -- get it while it's hot -- and on sale!! It's Your Turn!! -- Let's Do This!! Check out some more information on P90 - and MAKE ME YOUR COACH so I can help guide and mentor your through this new journey you want to start to be an even more happier and healthier version of yourself!! Order a Challenge Pack right now and reserve your FREE SPOT in my Exclusive Test Group.